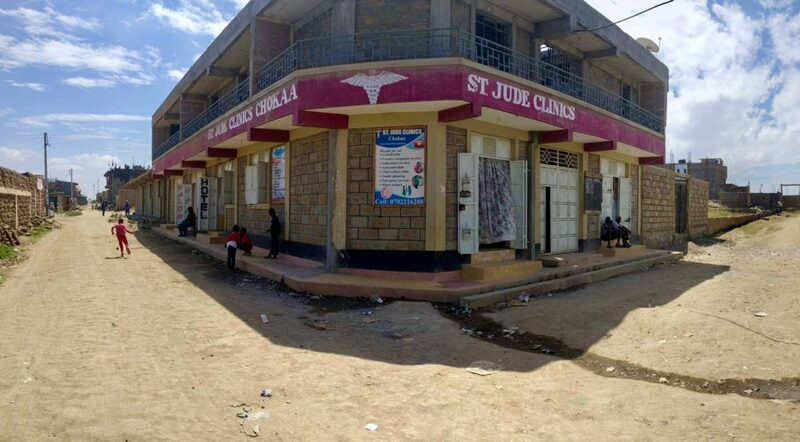 In July 2018, St. Jude Clinic Chokaa became the first health center to go live with the new Banda Go. Early results have been exciting. Banda Go is an IT solution that helps low-resource clinics deliver better healthcare and achieve financial stability. Today, Banda Go is in one clinic. By the end of the year we hope to be in 20. St. Jude Clinic was founded by two clinical officers, Boniface and Nelly, to take care of people who otherwise had to travel far to receive treatment. Banda Go can enable St. Jude Clinic to achieve financial stability, so that its doors remain open to the people who need it most. Just a few weeks in, Banda Go already saves Boniface an hour a day on paperwork with automated reports. 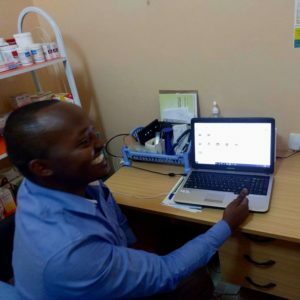 Because Banda Go allows for instant accounting of payments, stockroom levels, and patient visit history, St. Jude Clinic is beginning to take control of its healthcare delivery and its finances. That means Boniface and Nelly can take care of as many patients as possible without overreaching and threatening their ability to stay open. In the future, it may also enable them to raise funds for patients that cannot pay. If that excites you, join us. Donate to fund the development of the Banda Go solution. Wear out a keyboard or two coding for us by joining our developer team. Tell your friends about us. Be a part of a group of people from around the world passionate about empowering healthcare heroes in low-resource settings. If you have any questions or want to talk more about Banda Health, get in touch with me at steve.letchford@sim.org. I’d love to hear from you! 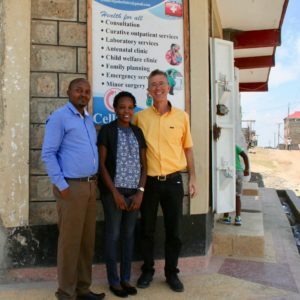 Mercy walked into St. Jude Clinic on Chokaa Street in Kasarani Township, Kenya, shortly after its doors opened for the first time. She’d been having these awful headaches. At the clinic, a man called Boniface took her vitals. Very high blood-pressure. They’d need to run some blood work, maybe send her elsewhere for an EKG and a CT scan to check on her heart and her kidneys, respectively. But first, she had to start medication to bring her blood pressure down. Mercy said no. Her grandmother had this high blood pressure as well. These tests would be expensive. Maybe she didn’t want to know more. Medication made her nervous. Would she have to take medication her whole life? She didn’t like the thought of that. Could they just give her something for the headaches? Mercy came back repeatedly over the next several months. Sometimes she came for her two kids, sometimes for the headaches. She still wouldn’t accept blood pressure medication. Eventually Boniface asked Nelly, his colleague at the clinic, to come in and talk to her. He wasn’t getting through to her. Her blood pressure was making him nervous; this could be really serious. Nelly sat down with Mercy. She spoke to her gently, kindly. How long have these headaches been going on? Tell me about your grandmother. Did anyone else in your family have headaches like this, or high blood pressure? We can figure this out. Maybe there is something we can fix that will take care of your blood pressure. If not, maybe you will have to take pills for a long time, but it will be OK.
Would you be willing to let us try? They talked for a while. Mercy let down her guard, slowly. Finally, she agreed to start taking the pills. But, she couldn’t pay. They sent her home with the blood pressure medicine anyways. In a more perfect world, Mercy would have come back for the blood work, the EKG and the CT scan. 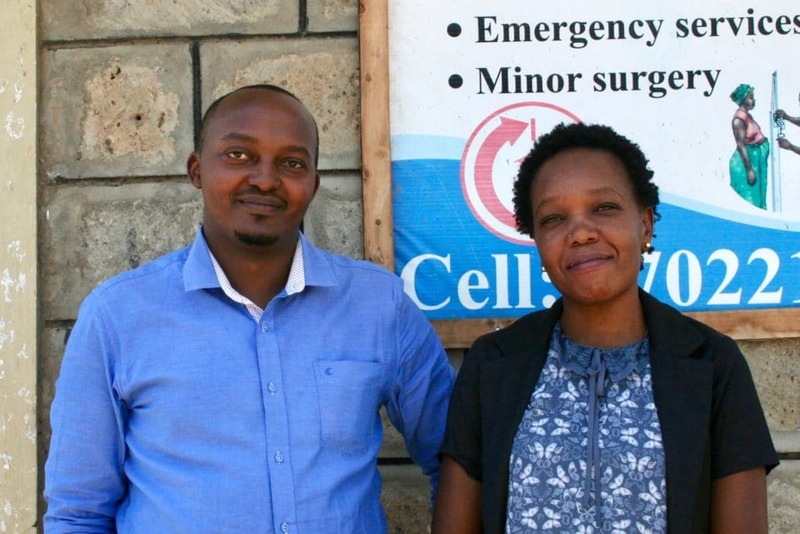 In Kasarani, Mercy’s best chance for a more perfect world is for Boniface and Nelly to be the best primary care providers they can be with the resources available to them and their patients. Places like St. Jude Clinic are the key to good healthcare for patients like Mercy. As primary care providers, they are the doorway into healthcare. Like they did for Mercy, the healthcare providers at these clinics do so much more than work their way through a list of patients for the day. They listen, they gently teach, they persuade. They keep reaching out and following up. They are the best chance for healthcare built on relationships, for health providers that really see, know and care about their patients as neighbors, and as friends. At Banda Health, this is who we want to work with. We’re building Banda Go for clinics like St. Jude. At first, they are small wins – how many patients did we see, who paid and who did not, how much of this medicine do we need to order this month? Later we will add a full suite of electronic medical records, and artificial intelligence to help make better diagnoses. St. Jude Clinic is the first clinic powered by Banda Go. We already have plans for the next two in the coming weeks, and by 2020, we hope to be in 500. That is something like two million patients with access to better, more reliable, and constantly improving healthcare where they need it most.